There are several freight strategies that are related to facilities (amenities) that need to be developed from the safety perspective and the well-being of truck drivers. Every truck accident is usually a fatal accident and the loss of property. In addition, accidents cause congestion in the road network delaying commuters and reducing productivity. Therefore, taking care of the welfare of drivers is an important element that should be addressed at each level of developing a Freight Corridor. Also the elements with respect to Freight Delivery, Freight Strategic Framework and Freight Planning needs to be examined and implemented as needed. The following sections describe some of the freight infrastructures that are required to be developed along freight corridors. It is necessary to move the freight from road to rail and also from marine to rail at all possible locations. For this to happen it is necessary to build inter-modal stations or hubs across the freight corridors near ports and railway stations. The moving of freight to rail will have major benefits in alleviating traffic congestions (urban areas), traffic accidents and facilitates to maximize the use of available infrastructure. In addition maximizes the capacity by removing trucks from the major roadways and freeways. There is a “perception” that these new facilities such as “intermodal hubs” lead to loss of jobs. There is no loss of employment as the logistic companies still provide services as they have to deliver the goods from the sea ports and rail stations to the intermodal stations and to the consumers. 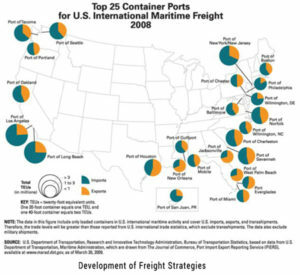 The figure shows the “Container Ports” in the United States; located at all important ports facilitating goods movement efficiently. 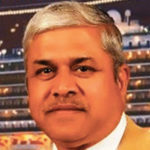 The expansion of ports have to be in pace with the pace in container vessels sizes; the container vessels have increased from a length of 294 meters to 366 meters carrying 12,000 twenty-foot equivalent units (TEU’s); the larger ships are nowl carrying 18,000 TEU’s. The ports should be upgraded to accommodate such large ships; this means major infrastructure changes are required. The latest container vessels are capable of carrying 18,000 TEU’s. The same is required in expanding the rail facilities to accommodate equipment to handle the transfer of containers from rail to trucks for transfer; new loading docks, cranes and upgrade of rail platforms. In order to facilitate the movement of larger number of TEU’s from the port to the nearest inter-modal hub, rail services such as the Alameda Corridor East in Los Angeles has to be built. ACE on a daily basis carries over 11,000 TEU’s; estimated revenue of over $8 million; the cost of ACE was estimated at $2 Billion. The total number of trains each way on ACE is around 40-45 trips per day from the ports of Long Beach and Los Angeles to the inter-modal station located about 20 miles away in Los Angeles. The ACE was designed underground to eliminate delays to all surface traffic and passing through dense urban areas. Every major city should develop a truck route map showing the routes that trucks can use for transporting freight. The main reason for developing a truck route map is make sure that heavy vehicles do not enter residential areas for safety and damage pavements. In addition it will minimize the noise pollution and congestion (blocking) from heavy trucks using residential streets. These maps should be distributed to all logistic companies. By trucks using major arterials and highways, the efficiency will increase with reduced energy use, higher speed and not increased safety. 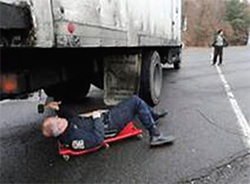 Majority of the trucks in developing countries seem to be carrying weights above the allowed limits with frequent breakdowns leading to accidents. Other major impact due to over weight is on the pavement deterioration, safety, congestion and capacity of the roads. Therefore it is imperative that weigh in stations are built along major highways to prevent overloading of heavy trucks. Also at the weigh stations if vehicles that are suspected to be damaged or need repair can be checked. 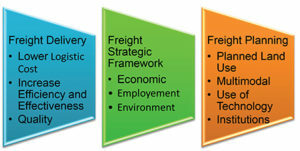 In addition the weigh in stations should be used as data collection points to obtain origindestination of freight being carried by heavy trucks, type of goods, and total gross weight of freight, product, manufacturer, routes used, goods being transported and distances the vehicles are traveling, including number of boarders crossed in delivering the goods. Data collection is important such as the GPS location of vehicles, parking data, incident management and updating information to all users will make the system efficient and reduce delay in the movement of goods. Increasing the overall efficiency and effectiveness of supply chain with tax incentives.